We hand engraved a Noble Family Crest on the underside of a rock crystal cabochon to create this amazing ring. 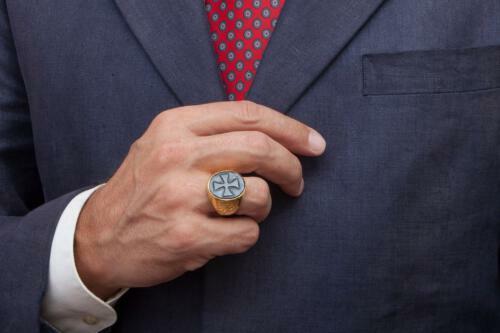 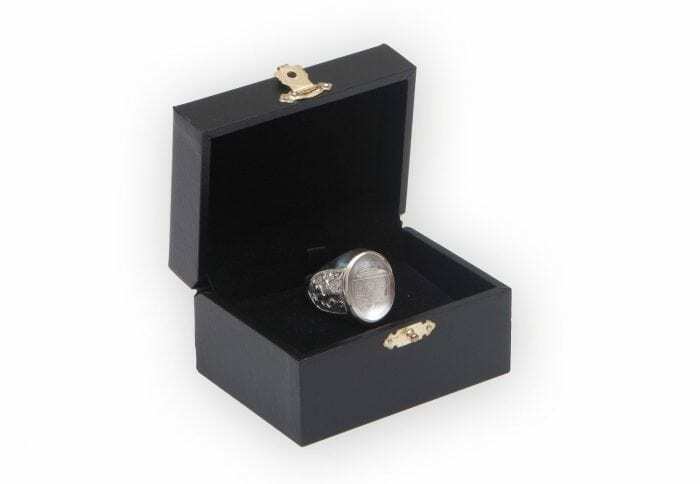 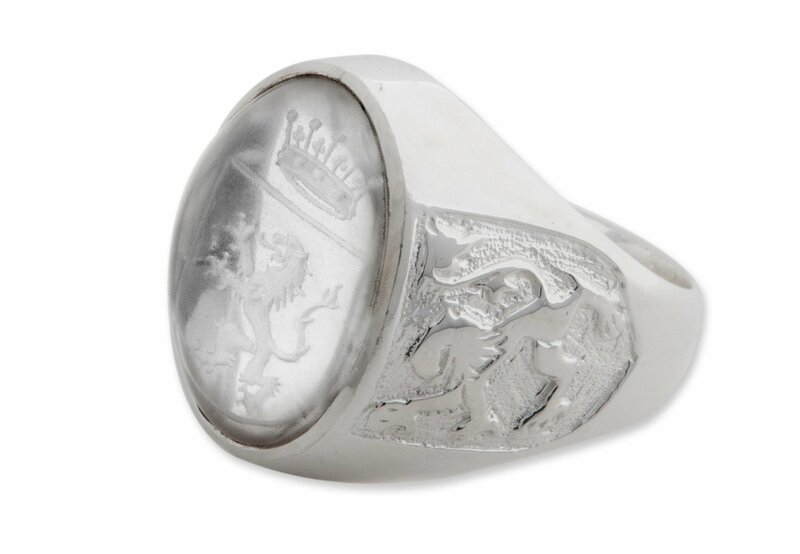 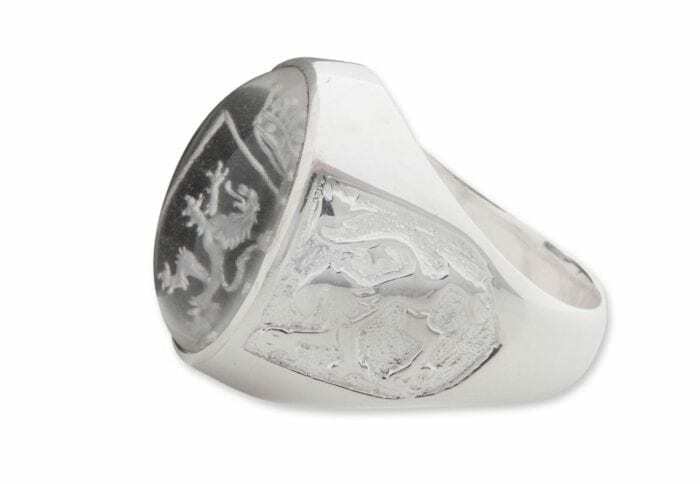 The oval is mounted to a sterling silver chassis which feature the image of the lion rampant on the ring shoulders thus adding to the heraldic nature of this impressive and beautiful ring. 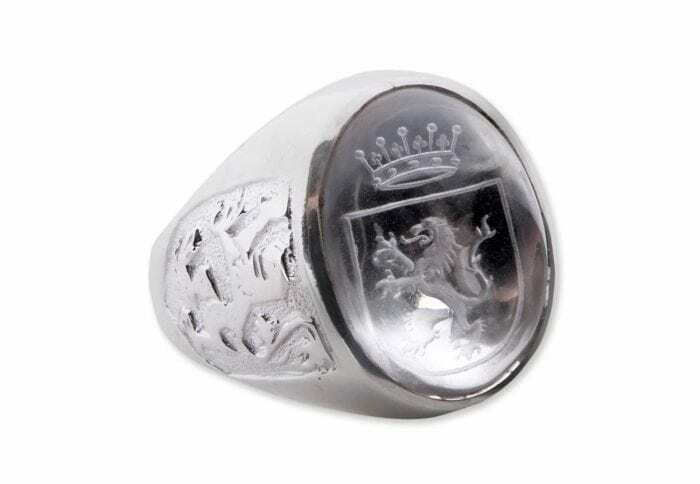 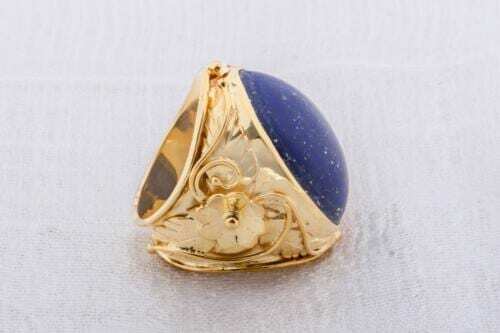 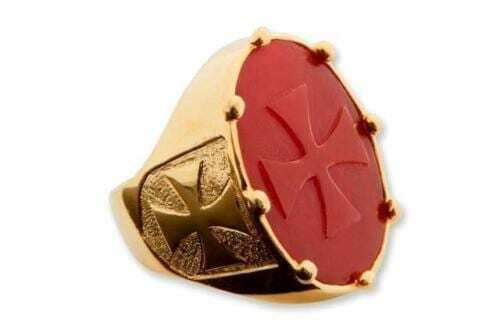 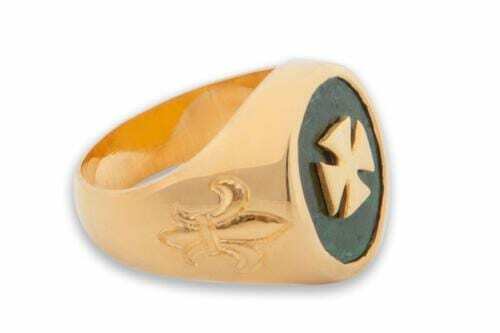 The oval face measures 22 x 18 mm (7/8 x 11/16 inch) a medium sized heraldic ring.